Most of you know by now that developing clients is the road to success in law firms. Crudely, it has been said that “you eat what you kill.” In other words, if you bring in the work, you will be paid handsomely. Nothing else comes close to assuring a successful career as a lawyer. That is why there is so much emphasis today on client development and networking. Concentrating on acquiring the soft skills that are necessary to make you attractive to potential clients is time well spent. However, soft skills are not taught in law school, and very few law firms are taking the time to instruct young lawyers in these skills. 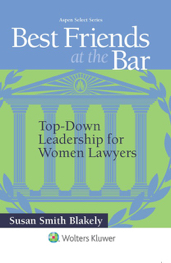 It is for that very reason that I have developed a Soft Skills for Lawyers program, which is highlighted on the home page of the Best Friends at the Bar website. With all of the competition for clients in the marketplace today, you would think that soft skill development would be a “no brainer” for law firm mentors. 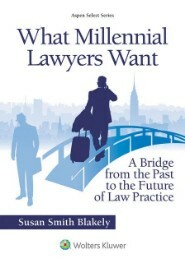 It is entirely possible that the days of the Old Boys Network are numbered as the Baby Boomer lawyers give up their club memberships and retire from practice, and no amount of dedication to successful client development is too much as firms look to less experienced lawyers to carry out the business of the firms. But, as you will see below, not all perceptions about client development are the same. In a recent column, The Careerist’s Vivia Chen highlighted a study that found male clients to be more inclined to steer business to male lawyers than to female lawyers. That proposition got the attention of two seasoned women lawyers, and Chen followed up with an interview of the two women lawyers, which “aired” in this podcast. Take the time to listen to Chen’s interview of Sharon Nelles of Sullivan and Cromwell and Robbie Kaplan, formerly of Paul Weiss and currently a principal in her own firm, discuss the “ins and outs” of landing clients. The strategies you will hear could be invaluable to your career success. You will hear a challenge to the premise that success in getting clients is a gender issue. Rather than gender as the underlying cause of successful client development, Nelles and Kaplan identify relationships and reputation as the most important factors in developing and gaining clients. 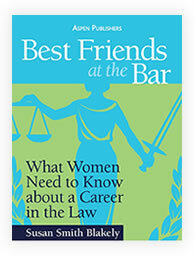 They also recognize the problems inherent in getting the right opportunities and exposure to clients — which makes it easier to accomplish those goals — and how women lawyers come out on the short end of many of those opportunities and much of that exposure to clients. But that is not where the discussion ends. Nelles and Kaplan are not satisfied with the inequity in terms of opportunities and exposure, and their back and forth on the subject provides food for thought that can be a career changer. Definitely worth your time. Two-lawyer households: I know a little about those. My husband and I graduated two years apart from law school, and the following 40-plus years are history. Not only the history of our two careers and more than three law firms and public service for each of us, but also the history of a couple and a family — which now includes two children, both of them lawyers. As we prepare to celebrate our 48th wedding anniversary, I think you could say that it worked for us. But, it was not easy. First, there were the years when our two careers were new and very exciting. We were learning so much and pushing the envelope for all it was worth. It was a great challenge, for sure, but it also was exhilarating. We would come together at night after long hours at the office, able to share our experiences because we spoke the same professional language. It never got old to experience the profession through another set of eyes — with trust and candor. Those years were followed by the years with children when we were just plain tired all of the time. Tired of working so hard at the office and tired of working so hard at home. But never tired of each other or tired of the kids. It was family — always family first — and many difficult career decisions followed as we made certain that we had time to do right by our family. The difficult choices turned out to be the right choices, and professional success often was a dynamic concept based on changing circumstances. And those years were followed by reflection and incredible pride in what we had accomplished. And those feelings of pride remain to this day and grow with every new success experienced by our family of lawyers. So, when I saw this article in the National Law Journal, it was natural that I wanted to share it with you. Written as an inspiration for today’s two-lawyer families, it includes information that has become de rigueur for those of us who have lived it but may be unfamiliar to so many young lawyer couples. 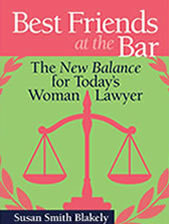 Today more than ever, lawyers have spouses and significant others, who also are lawyers. It is simple: There are so many more women lawyers in practice today; and lawyers today often spend more time at the office than at home. So, lawyers are naturally and disproportionately likely to end up in love relationships with other lawyers. You can learn a lot from the excellent example that the Ginsburgs set for you … and for me … and for all of us to follow. Theirs was both a great love and a great success story, which included two remarkable law careers and a cherished family history. It has been memorialized in the film “RBG,” and I hope you will find it soon in a theater near you.